1. Do have a plan. ‘A goal without a plan is just a wish’. 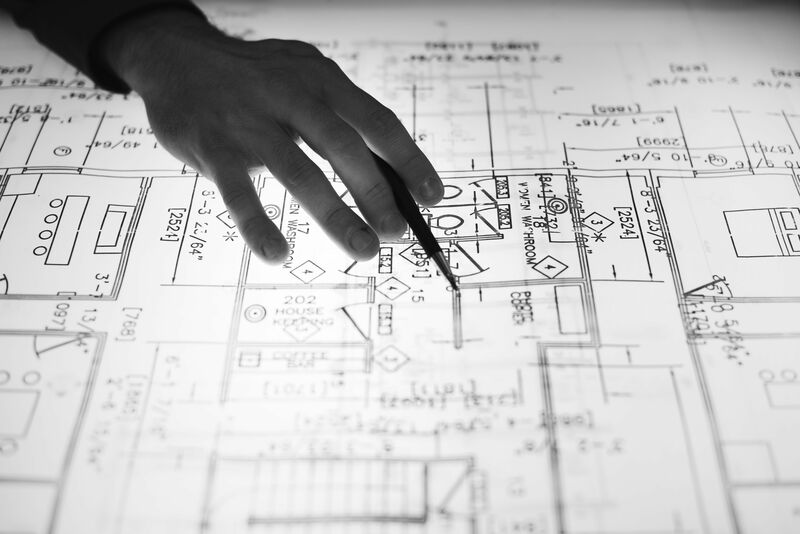 Home builders and remodelers say that planning is everything. Firstly, you need to define your goals. Are you transforming the master bedroom’s en suite, updating the kids’ bathroom, converting a half-bath or any other fixtures? Next, envision your updated bathroom. When you’re ready, schedule a consultation with a designer who can help you refine your ideas, select materials and coordinate the installation. An interior designer will assist you in creating an equally aesthetic and functional place that will address your personal needs and style preferences. Another crucial part of the planning process is preparing for the potential of not having full access to the bathroom you’re remodeling. Depending upon the extensiveness of your remodel there can be times when your bathroom won’t be accessible or have full functionality. Professional remodelers and contractors are very good at limiting these pinch points and should readily communicate when and why your bathroom will be unusable. 2. Splurge on the shower. Just like any other room in your home, the bathroom needs to have a focal point or a design element that’s meant to draw the eye. 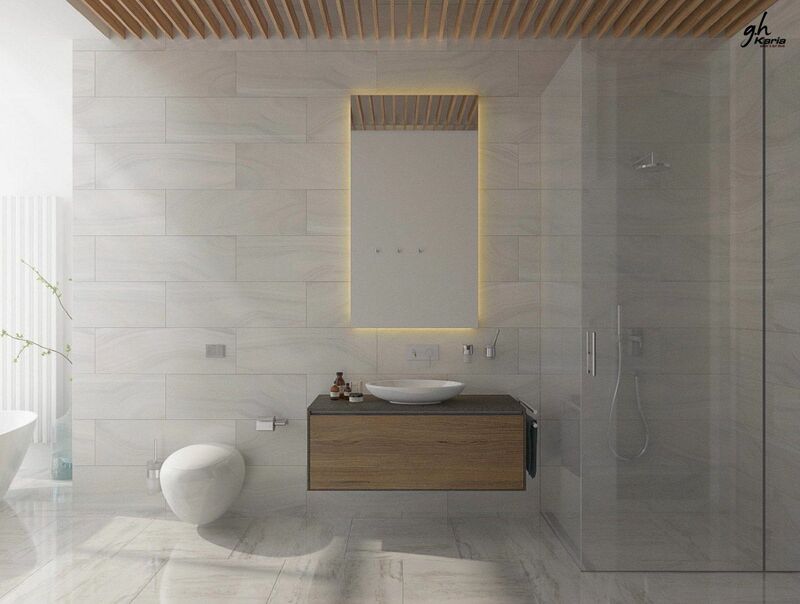 According to the design communities, sumptuous showers are one of the most popular features among home buyers, so it may be a good feature to highlight. Also, because of its functionality which is connected to water and water because of its rejuvenation. The shower is used much more frequently than the bathtub is, so it is not a bad idea to splurge a little on the shower. If you count how often you use your bathtub for a bath and not just because it is the tub/shower combination you will soon realize a walk-in shower is a solid and wise investment. Think of it this way, you’ll get to enjoy multiple shower heads and heated floors now, with the added benefit of knowing your investment will probably pay off down the road. Budget constraints may pressurize you to settle for low-cost materials that aren’t as appealing. 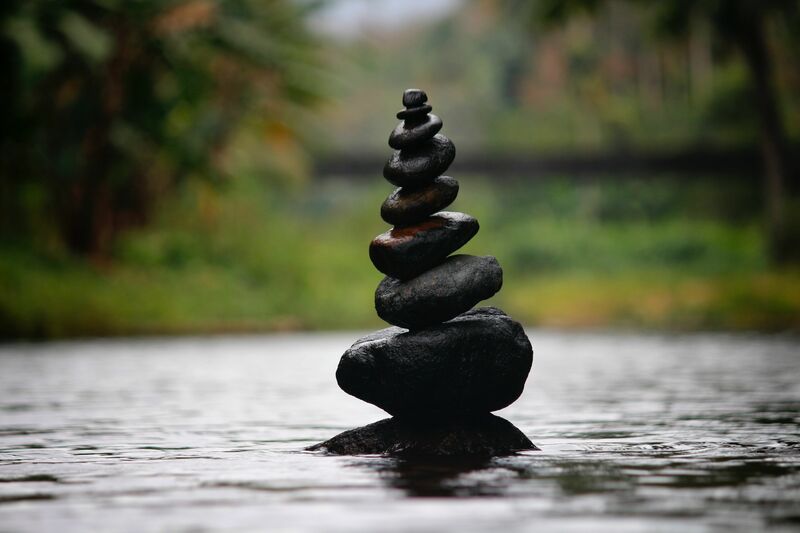 However, in the end, these compromises can decrease your ultimate satisfaction. Whenever possible, choose quality materials that fit your aesthetic. They’ll last longer and give your bathroom a high-end finish that can’t be replicated with builder basics. Sometimes, it’s better to do less and to do it right. If needed, decide which updates are most important to you. 4. Do set a realistic budget. 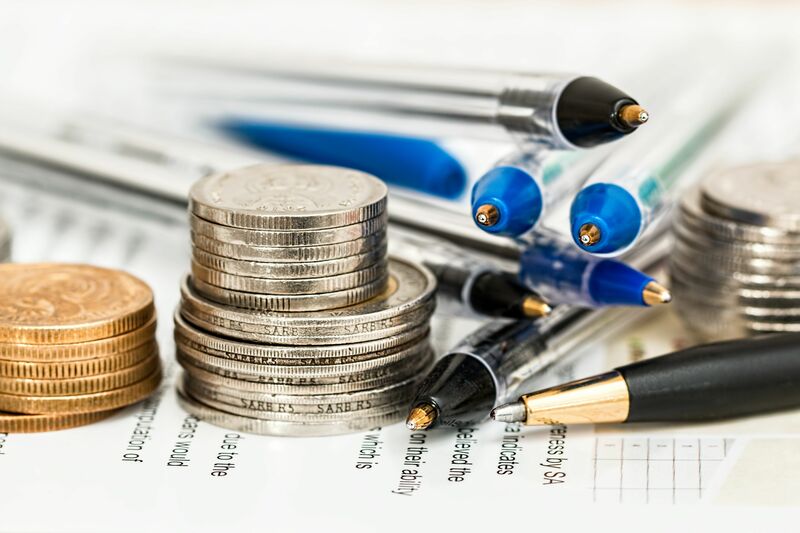 Even if you have unlimited resources, it’s good to have a financial plan in place to help guide you on your purchasing journey. 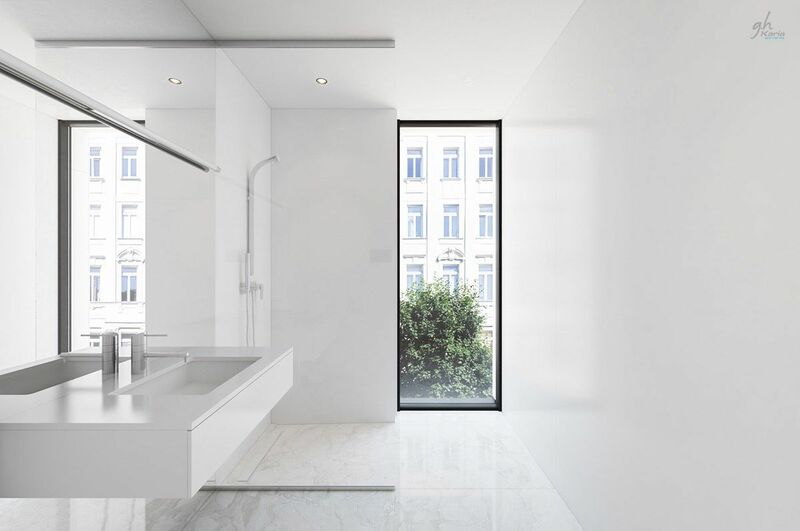 This will help you narrow down your options for each aspect of your bathroom renovation, saving you significant time during the decision making process. 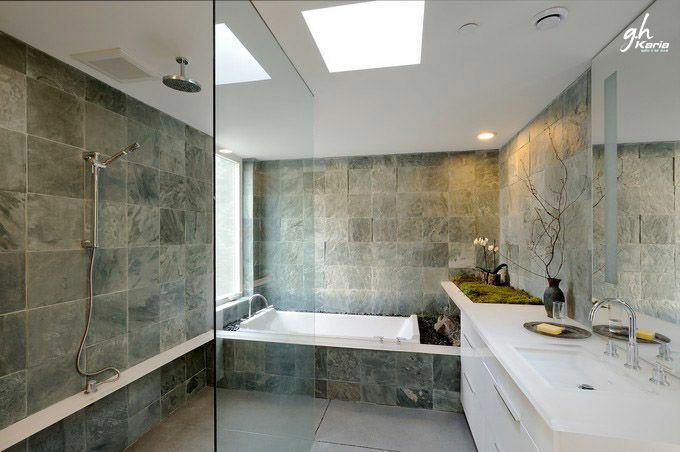 Before you plan your dream bathroom, decide how much you want to spend. Having a budget will also help you to make realistic plans that you’ll be satisfied with in the end. Older bathrooms may need completely new wiring. Additionally, you may need to replace regular outlets with those designed to function safely near water. 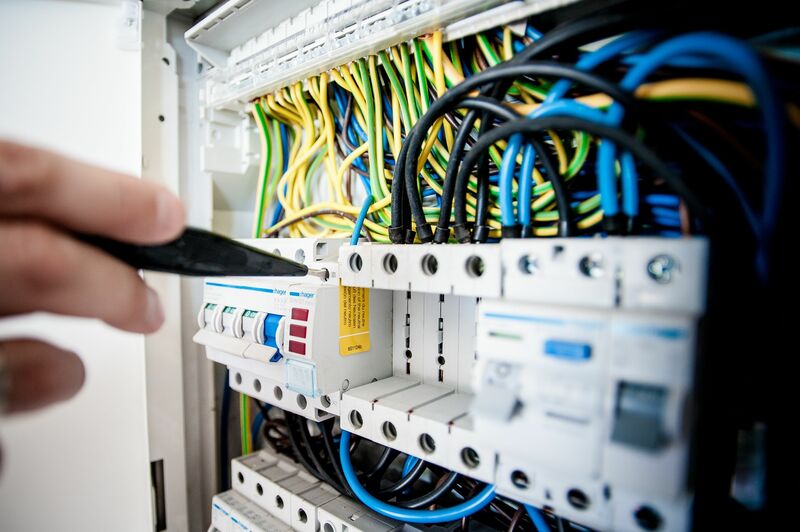 One of the most dangerous and complicated aspects of bathroom remodels is electrical wiring. Don’t try to do this yourself — mixing water and electricity isn’t a risk you want to take. Nowadays, people are more into online/instant geysers which requires 3-phase wire connection and 6 sq. mm wire which is not known by everyone. Hence, if you hire a qualified electrician you can rely on him for such things for your safety. 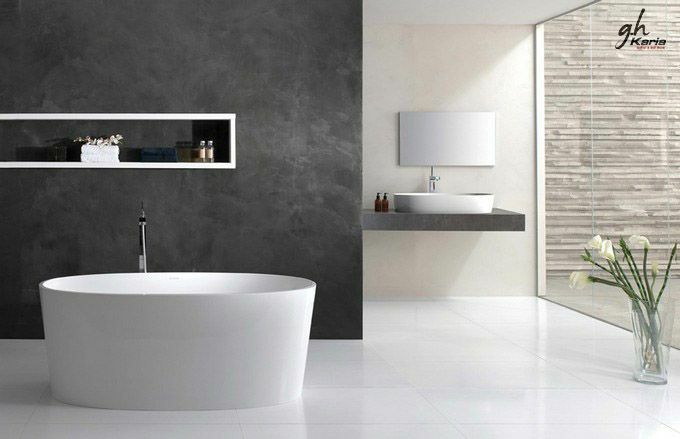 Hi-tech modern bathrooms heighten the sense of convenience and comfort while adding to their aesthetic appeal. Of all the rooms in your house, the bathroom probably isn’t top of the priority list for splashing the cash on gadgets, seeing as most of your time is probably spent elsewhere unless you are an avid bubble bath fan. But that’s not to say the bathroom doesn’t have its fair share of exciting gadgets and in fact, it has just as much potential to be as smart as the rest of your home. 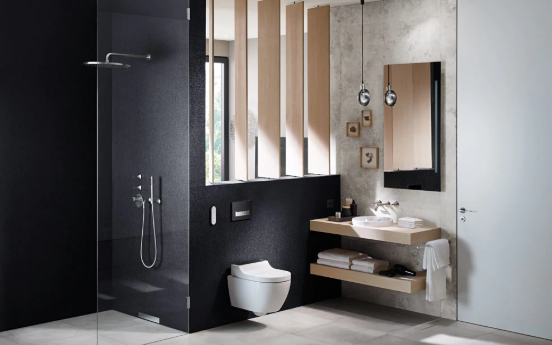 There is so much betterment of the cutting-edge technologies that range from digitally-operated commodes to faucet sensors for creating an invigorating bathroom experience. 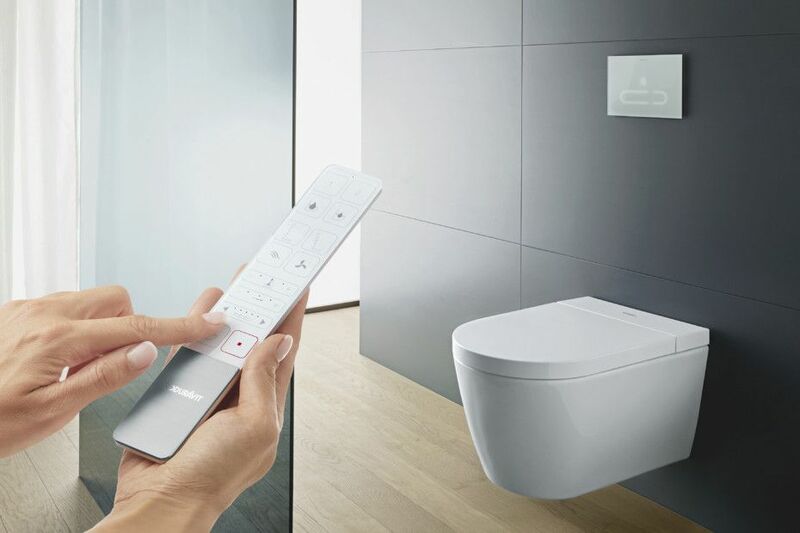 SMART TOILETS: Smart toilets these days are more in vogue. 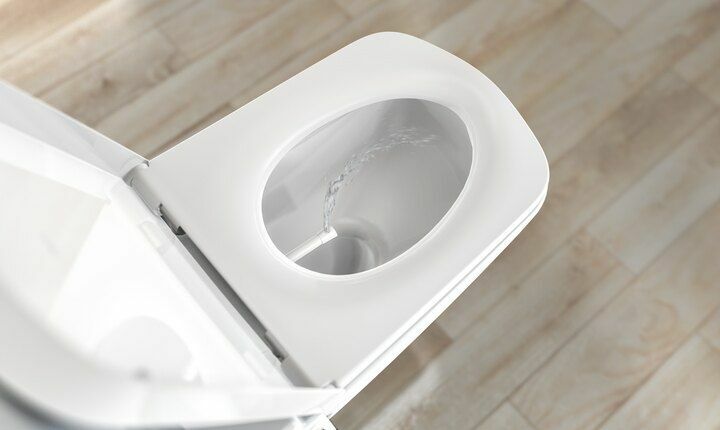 They have an in-bowl catalytic deodorizer and a cleansing technology that uses electrolyzed water with a slightly acidic pH value, as well as a coated bowl activated by an integrated UV light to ensure the bowl remains free of waste, lime scale, and mold. And if this is not enough, some smart toilets do come with in-built Alexa. Clever. JET SPRAYS: What if you could experience that pleasant feeling after using the toilet too? When a soft, warm water jet cleans gently and leaves nothing but the purest freshness? Cleaning with warm water is becoming the new standard in intimate hygiene. And no wonder, because it meets the very human need for cleanliness and freshness. FOR EXAMPLE: TECEone. With its shower function, this jet spray brings you pure refreshment after using the toilet. Simple. Comfortable. 1. Don’t Forget About Lighting, Ventilation, and Storage. 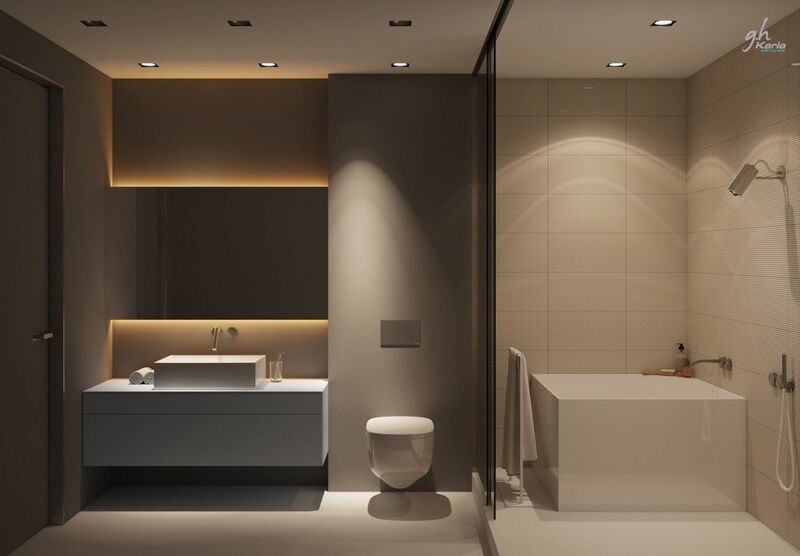 The importance of lighting is usually overlooked or an afterthought altogether during bathroom renovation planning. Updating light fixtures is an easy and effective way to modernize your bathroom. Use a combination of direct and ambient light from ceiling fixtures, wall sconces or vanity lamps to create an inviting space. For lighting, consider creating layers of illumination in the room. Replace the exhaust fan for better humidity control. 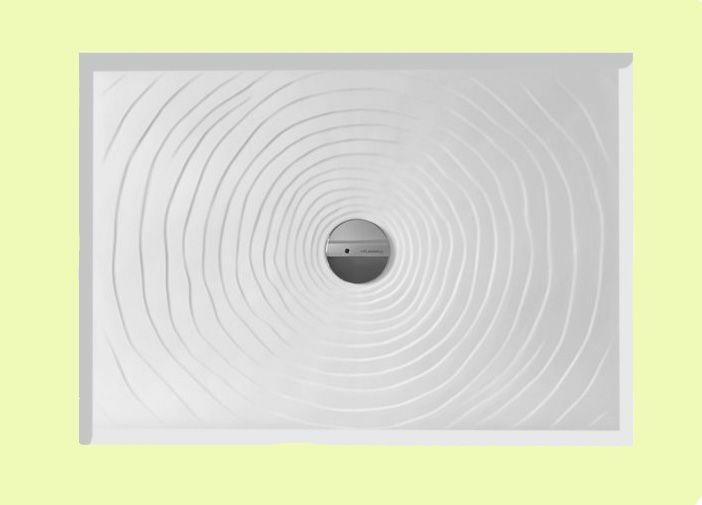 Ventilation helps your bathroom stay fresh. A poor ventilation system guarantees that your bathroom will eventually grow mold, which can be hazardous to your health. Finally, don’t underestimate the need for ample storage to accommodate towels and toiletries. Include at least one closet, vanity cabinet or built-in cupboard in your design. The bathroom vanity is another feature where you can make a big statement. Options that feature double sinks, large mirrors and plenty of storage are on-trend. If possible, opt for one with a luxe top in a material such as granite or marble to add even more visual interest to space. Keep in mind that you can always change up the look of your existing vanity if needed. You could also switch out the drawer pulls or even buy a new topper from a home improvement store to freshen up the bathroom’s aesthetic. 3. Don’t Cheap out on materials. Items in your bathroom that are going to get used every day are not the ones you want to find the bargain materials on. Materials like the one you use for the vanity countertop are going to face daily wear and tear so take into consideration the quality of material you are using here. Same goes for the tiles you use for either your tub or walk-in shower. Materials you will touch daily will wear faster, so think about where you want to invest your money. 4. 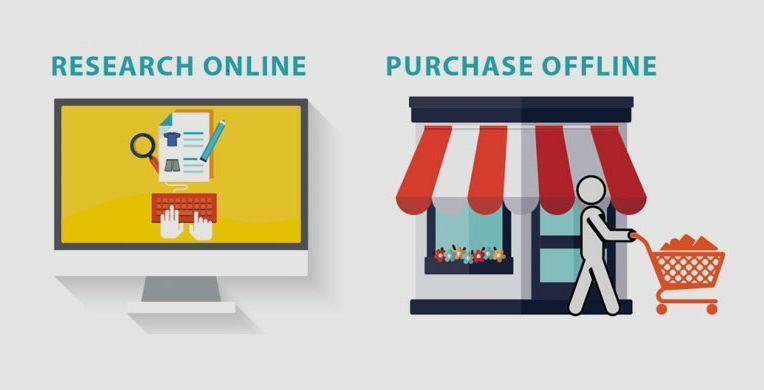 Don’t purchase products online before having a look at them. Going online is an appreciable way of researching products and design ideas. But materials and finishes aren’t always as they appear on your screen as one swipe of filter is enough to improve or completely change the look of the product. That blue vanity top might be bluer than in real life, or the light fixtures that look understated online could overwhelm your actual space. Above all, what matters the most is the feel and touch factor. Lack of touch-feel factor creates concerns over the quality of the product on offer. That’s why it is always recommended to visit a showroom or design center before you buy. While you’re there, you may even get the showroom to meet or even beat the online price. Once you decide that you want a remodeled bathroom, you probably don’t want it to finish it the next day only to mess it up. Remodeling takes time. However, take time to plan the design and costs to avoid going over your budget. Poor planning may lead to redoing projects, which leads to greater costs. You’ll probably need a few weeks to gather ideas and to develop a design. Then, it may take a month to complete the demolition and framing before the other work can proceed. 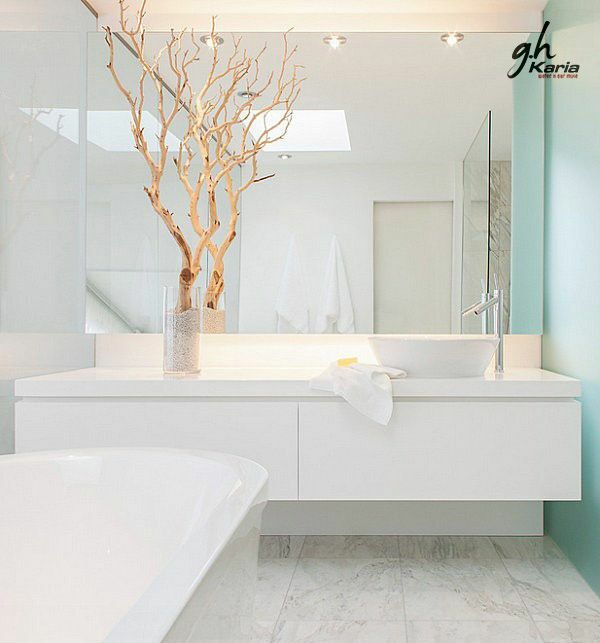 Keep pictures of bathroom ideas you like to help you refine your design. During the planning process, consider rearranging the layout. Remodeling doesn’t happen every day, so organize the space how you want. Toward the end of the project, many homeowners lose focus and just want to use their new bathroom. Resist the urge to cut corners. These details are essential for creating a clean, professional finish. The end result will be worth the extra time. When thinking about a new shower for their bathroom, many people think that their choices are limited, more so than say, choosing a bath. But actually, there are loads of different styles all designed to suit your needs and pocket. Choosing the right shower for space is a tricky business, especially when you’re thinking about how the shower will impact the other furniture and fittings in the room. It’s used daily – if not more often – and is likely to be in place for quite some time. So it needs to be durable, sturdy and stylish. That’s why your shower tray materials are such an important consideration when installing your new bathroom. There are lots of different types to choose from, each of which has its own pros and cons. WHICH IS THE BEST SHOWER TRAY MATERIAL? There is no easy answer to this question as everybody’s needs are different. Before you start the process, you’ll need to scratch your head about color, style, safety, finish, cost, and maintenance. But forget the bad old days of flimsy plastic that cracks and stains almost straightaway. 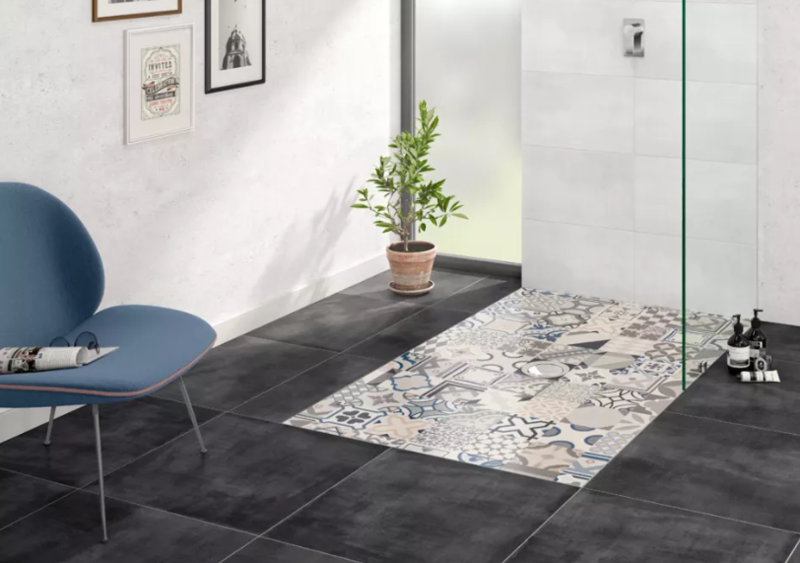 Today’s latest shower trays are available in a range of high-quality materials that are stylish, stain-resistant and easy to clean. This expert guide helps you with each option to make the right choice for you. 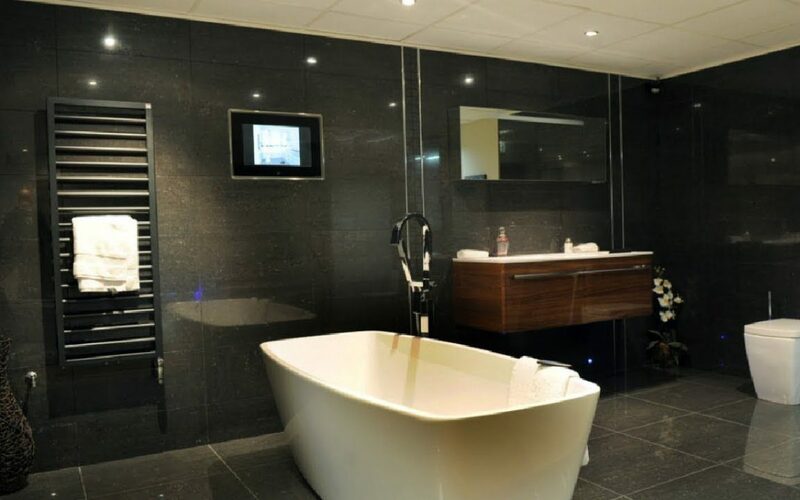 In recent years stone shower trays, also known as stone resin shower trays, have become a very popular choice. These usually feature a mix of natural stone minerals and a resin compound, polished to a smooth finish. 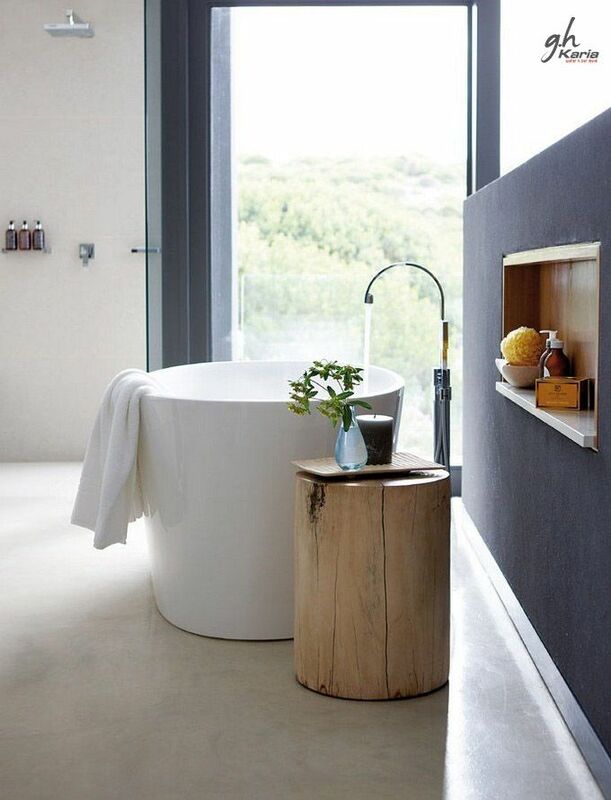 The design experts are bringing the bathing experience back to nature with these amazing new natural stone shower trays. Long favored as a durable and stylish flooring finish, these gorgeous, unrefined stones come alive with the Natural stone. The gentle gradation of the stone leads down to the drain, further resembling nature’s raw forms. 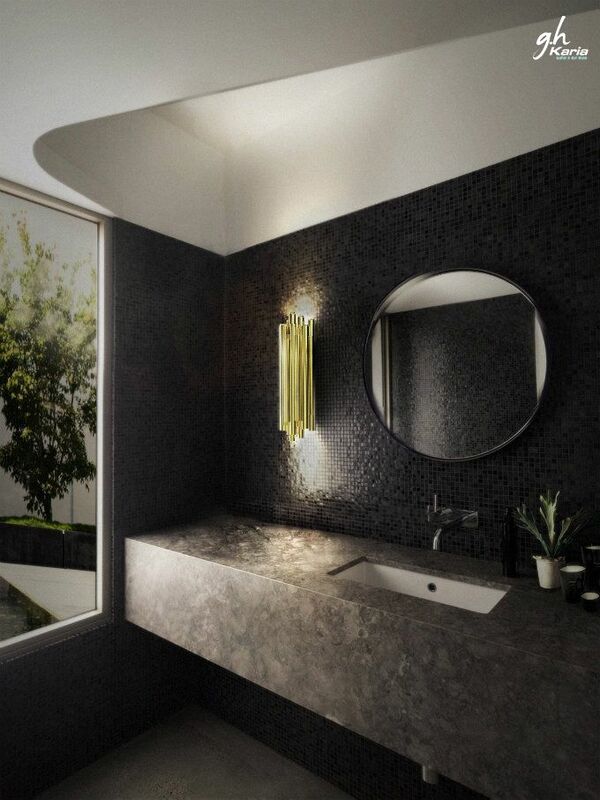 The Optical Rectangular shower tray creates a modern stream bed through a fantastically simple graphic element. It features a pattern of raised large circles in various sizes, the ceramic designer shower tray gives a textured depth and interest. With a concealed drain, the water twists and turns between the circles much as it would between large river stones. The result is a natural anti-slip design. 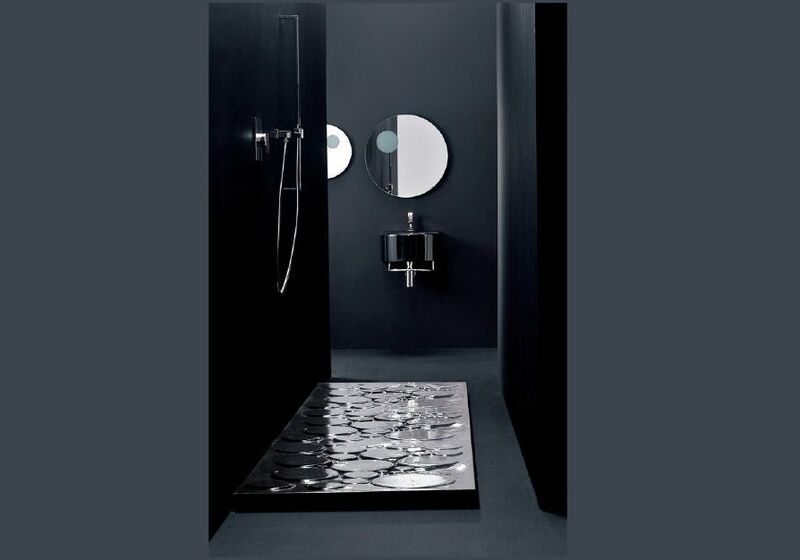 The Optical shower tray can be mounted flush to the floor, or as a raised contemporary shower base. 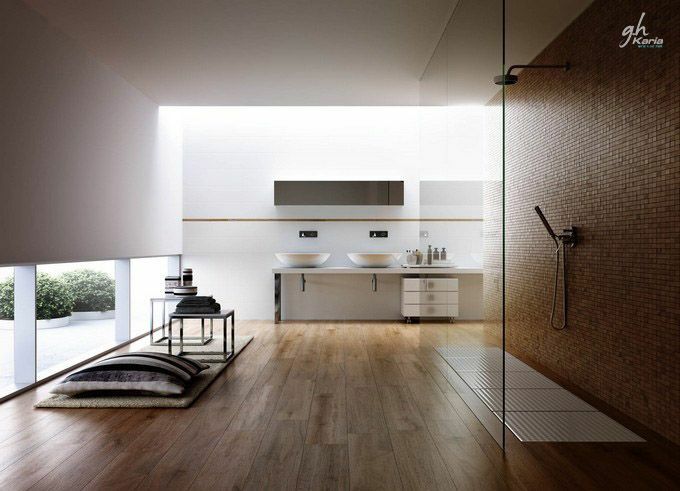 By combining multiple units a broad path of shower space can be created. 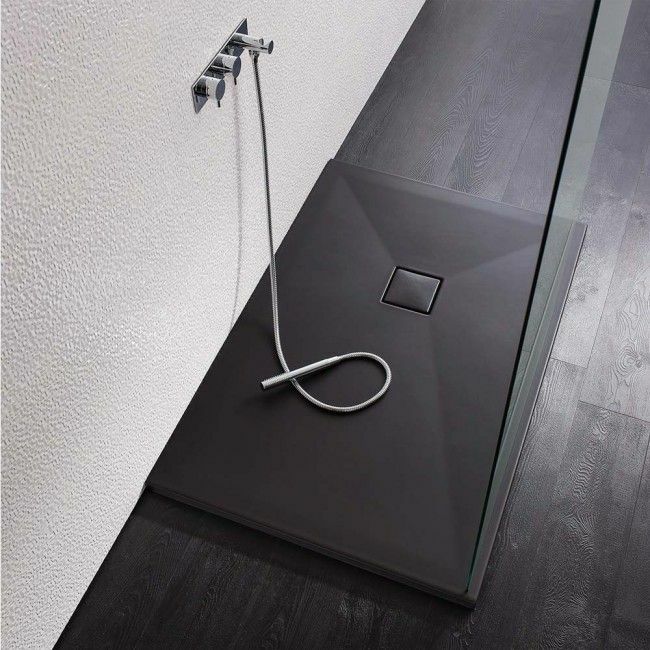 The Optical Rectangular shower tray is available in a range of colors including black, orange, red, blue, green and anthracite. 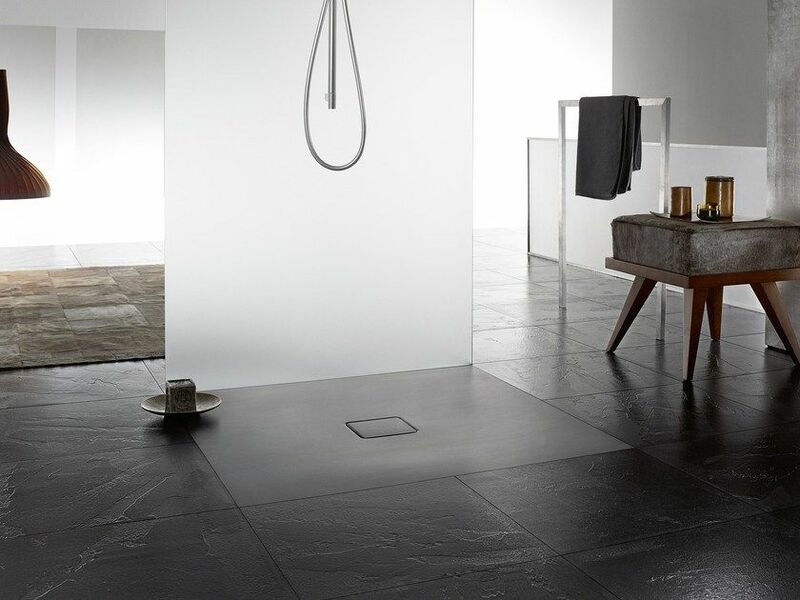 Slate is another of the shower tray materials that work well with contemporary designs. An interesting alternative to shiny white. 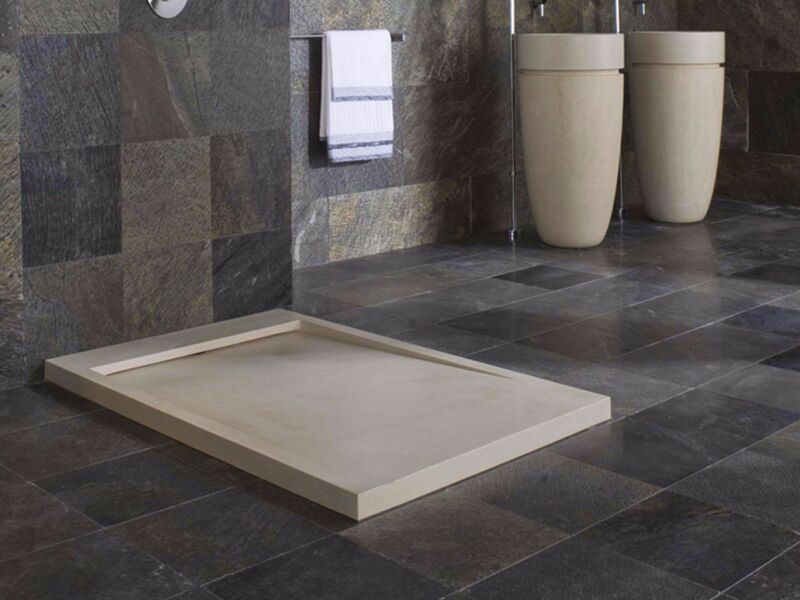 A slate shower tray offers a luxurious look combined with a practical, non-slip surface. 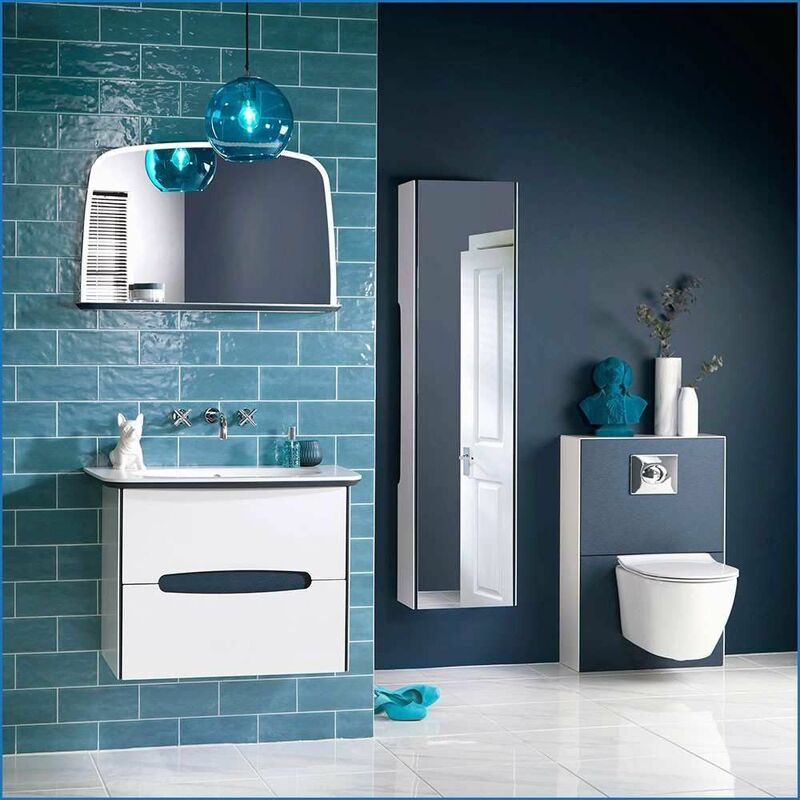 It’s an excellent choice if you’re looking to make a style statement in your bathroom space. 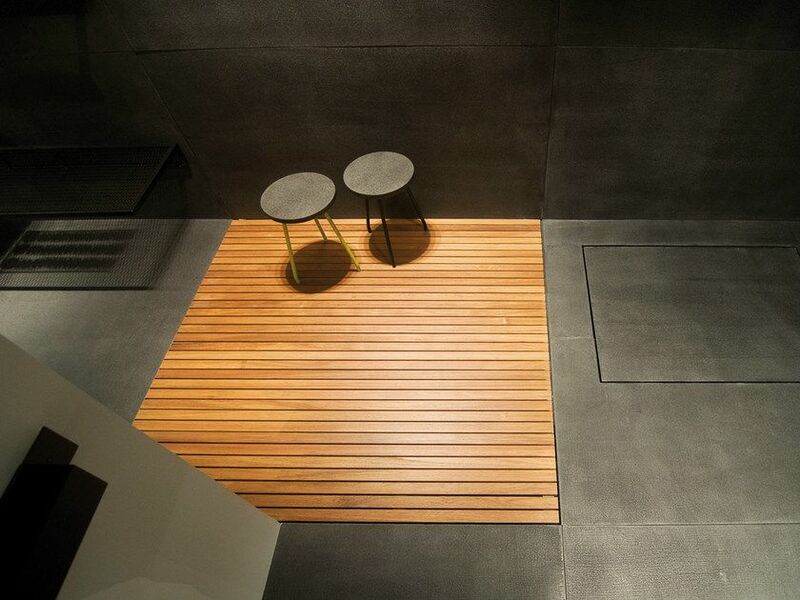 Slate’s low profile design means it can be fitted on or level with your floor. 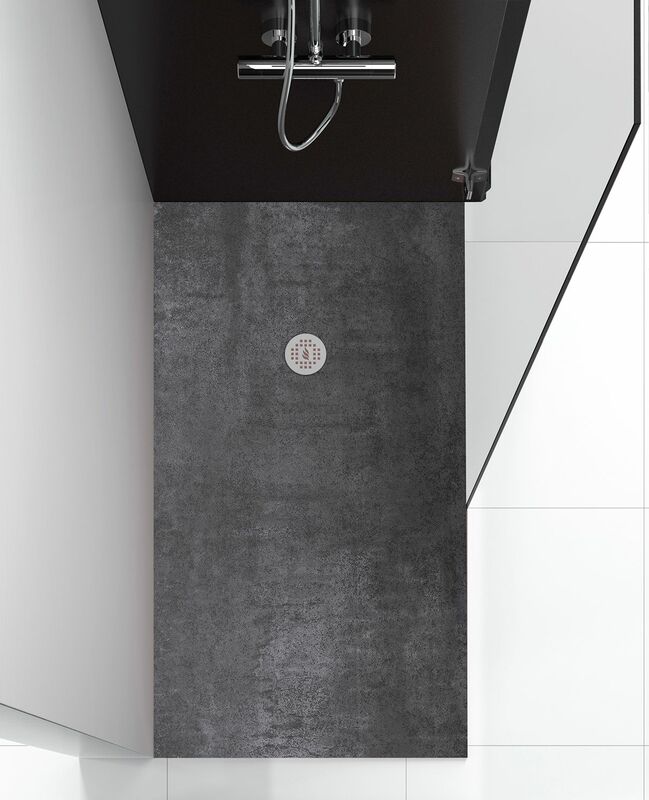 It is available in a range of colors such as fossil grey, white or slate black effect finishes. 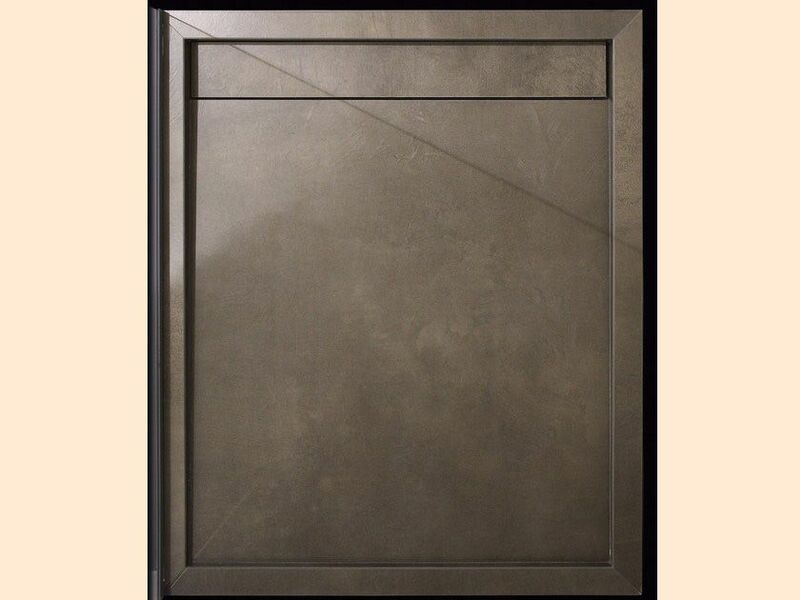 A slate shower tray helps to create a unique, eye-catching look that will last for years. Care has to be taken with cleaning products as it’s easily stained. 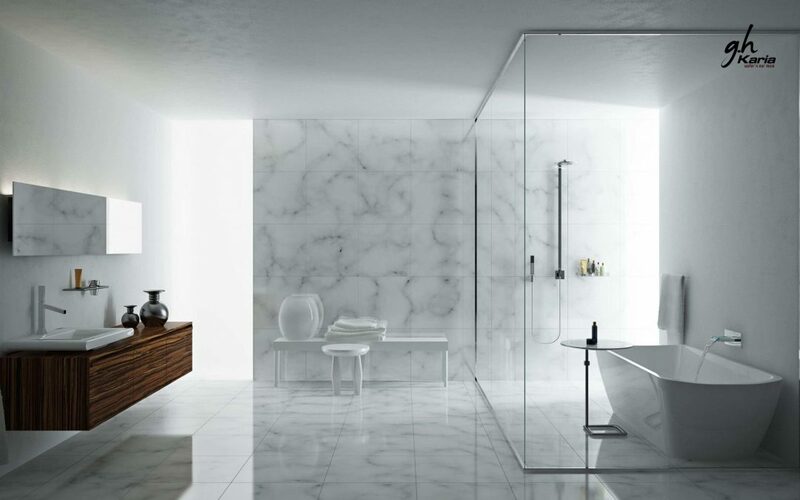 Another interesting option for shower tray materials is marble. Marble offers a classic, timeless finish that works well with both period and modern bathroom designs. It’s associated with luxury and master craftsmen and is often found in high-end, five-star hotels. 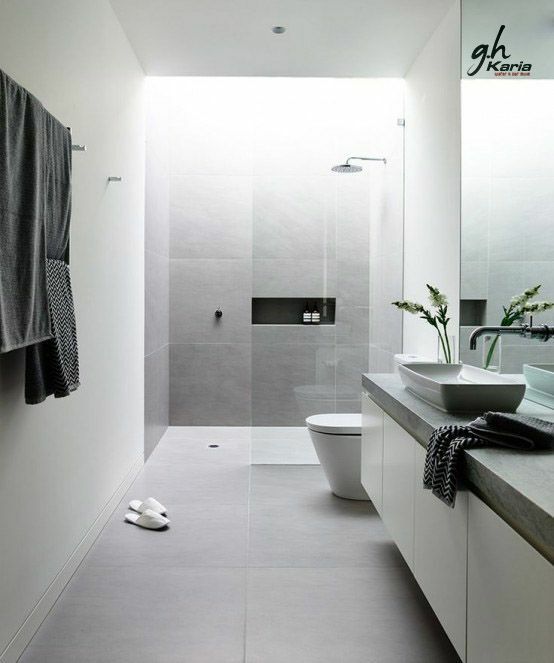 A popular choice for wet rooms, a marble shower tray can be set into the floor itself, for a sleek, uniform look. Thanks to the variety, each piece of marble is unique, so it’s perfect for a customized design. If you’re watching the budget, a ceramic shower tray could be a sensible option. Ceramic is durable and stain-resistant, but much more affordable compared with other materials such as stone, slate or marble. It does have a few disadvantages, however. Ceramic tends to be quite weighty. It is also prone to crack or shatter if anything heavy is dropped on it. And just like your typical bathroom basin, ceramic shower trays are cold to the touch. However, if you’re looking for a durable budget option, that’s easy to keep clean, ceramic is tough to top. Acrylic shower trays are another affordable option without burning a hole in your pocket. They’re also versatile, as they come in lots of different shapes and sizes which are perfect if your bathroom is bijou! Acrylic shower trays feel warm to touch (ideal for chilly feet!) and are lightweight with more flexibility. This means that they are fairly quick and easy to install. The downside of this material is that it is not very sturdy. So an acrylic shower tray can feel flimsy and is more susceptible to breakages and cracks. The colored shower trays made of sanitary acrylic or Quaryl turn your shower into a vibrant focal point in the bathroom. The smooth, non-porous surfaces are not only elegant to look, but they also are also easy to clean. Therefore, allows you to enjoy perfect cleanliness and unique sheen for many years to come. The above image shows, The CONOFLAT, a steel shower tray which has an extremely flat design without any edges to trip over. The enameled waste cover fits seamlessly into the surface that is level with the floor. For new and elegant aesthetics, unlimited freedom of movement and optimal comfort when standing. The CONOFLAT is available in 33 dimensions. 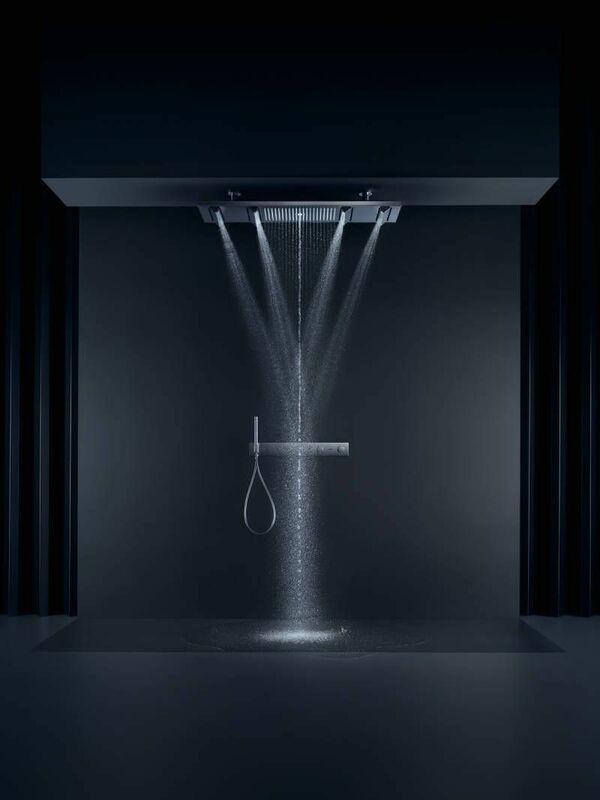 The CONOFLAT guarantees a pleasurable showering experience because of its integrated design concept. Steel shower trays are functional, long lasting and super slim, allowing a perfect integration in the shower space. They can be cleaned with just a wet soapy cloth. 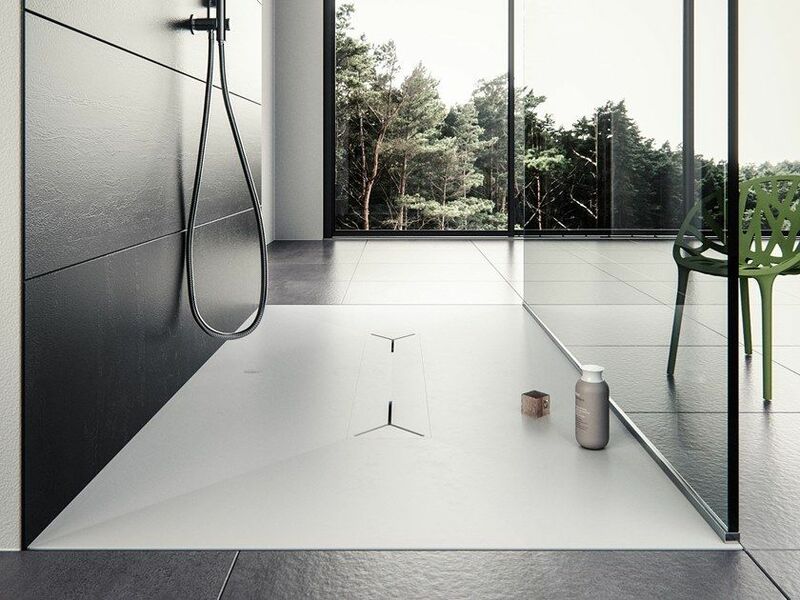 A new range of shower trays with an anti-slip design though for residential and contract. 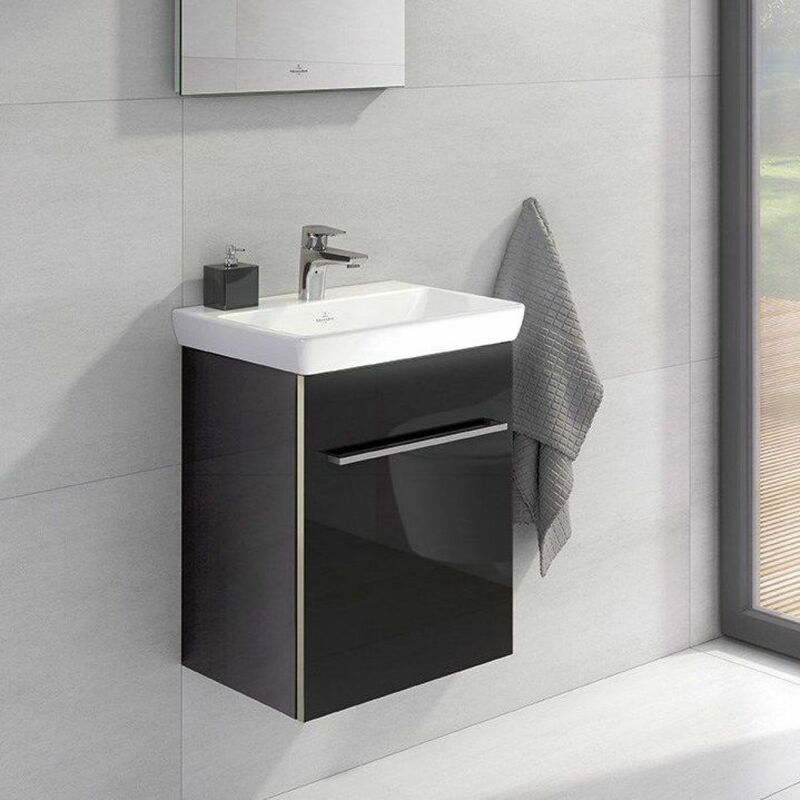 With a modern and functional design that would fit any bathroom and need. 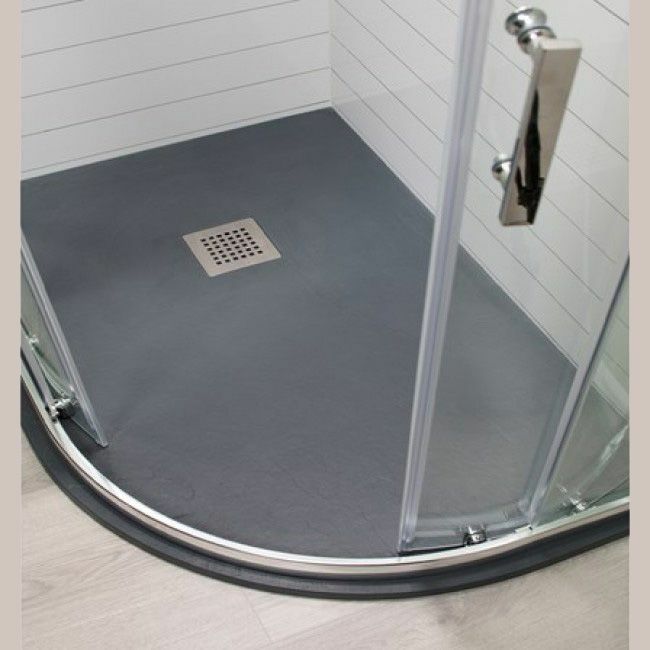 The new ceramic shower trays can be fit on the floor or semi-recessed. 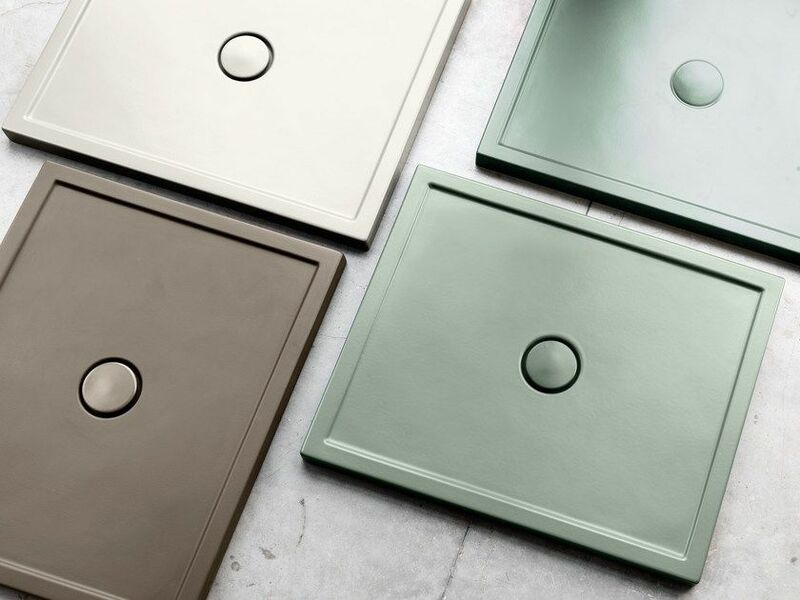 The new sensetta shower trays are characterized with clean shapes, functionality and flat colours. 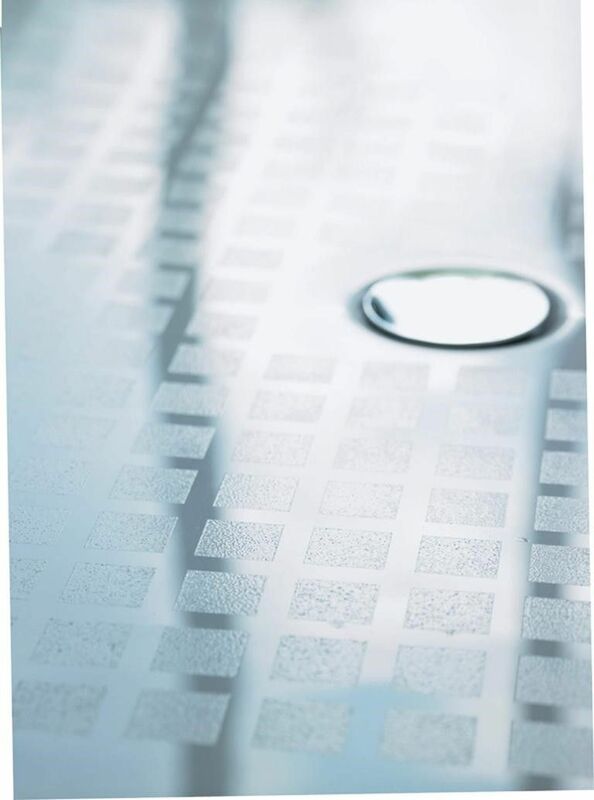 One of the most important purposes of the shower tray is that whether it’s a rectangular shower tray or a square one – is the prevention of water leakage. It’s in the nature of water to go where there is the least resistance, and it’s very hard to stop water once it has found that path. A shower tray ensures that water flows where it is supposed to flow. In fact, shower trays are designed in such a way as to manoeuvre the direction in which water goes. As you shower, the tilt of the tray ensures the water goes immediately to the drain. 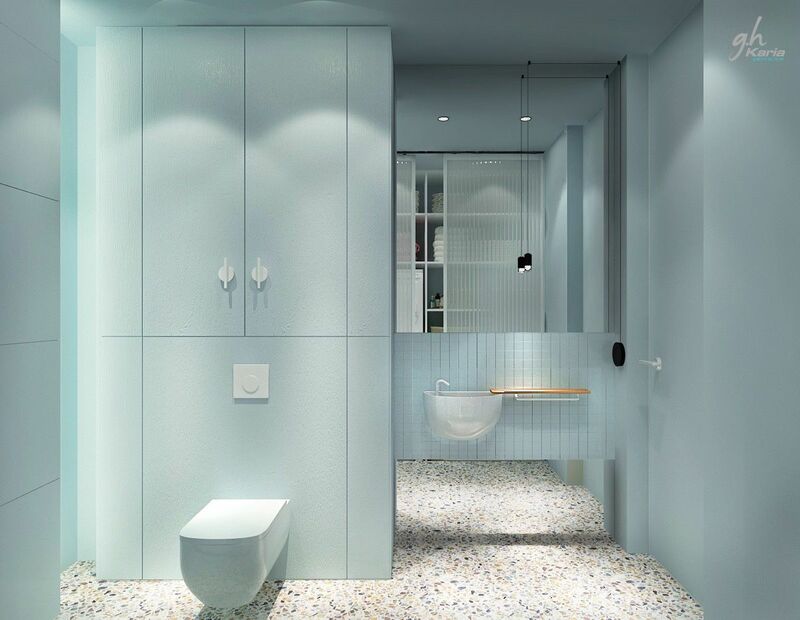 Bathroom installations tend to be difficult because of the limitations of space and needs, the existing plumbing, and electrical outlets and let’s not forget government and building regulations. However, shower trays come in various sizes, shapes, and models and have been fabricated with easy installation in mind. 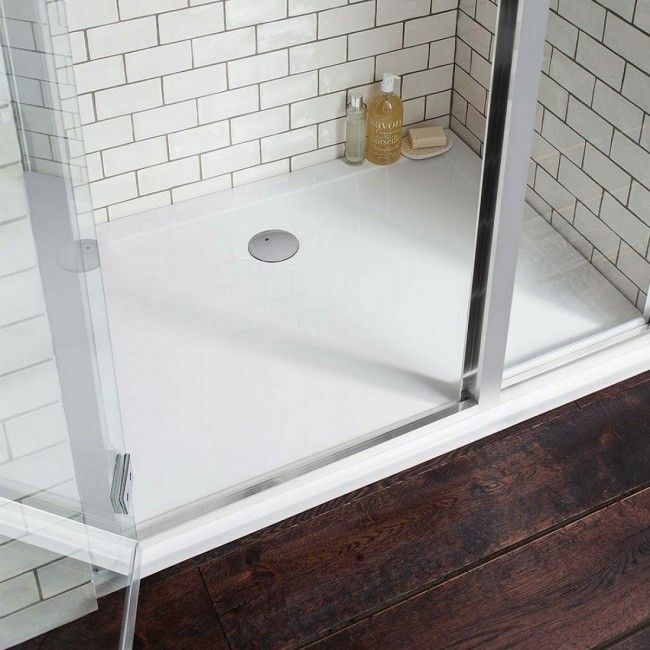 With so many kinds of shower trays on the market, it’s inconceivable that there isn’t a perfect shower tray for every person. Rather than remodeling your whole bathroom to adjust to the shower requirements, it is much more practical to install a shower tray that suits your needs. Not only does it save labor and time, but it also saves a lot of money. It’s not just voguish and practical, it’s also economical. 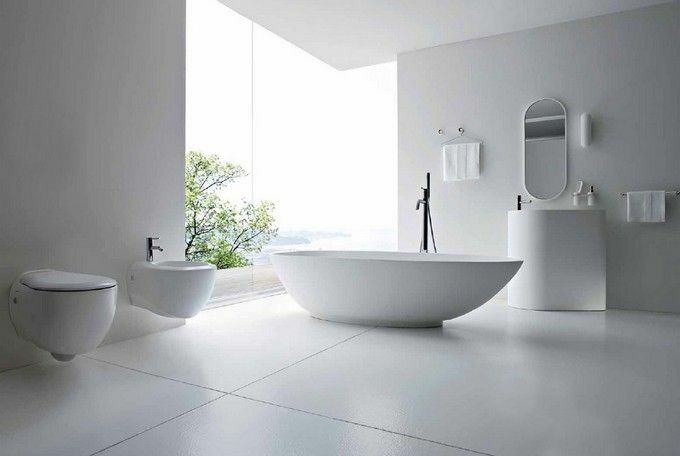 The minimalist aesthetic is very pleasing and calming on the eye and is, therefore, a great style by which to design a bathroom scheme. 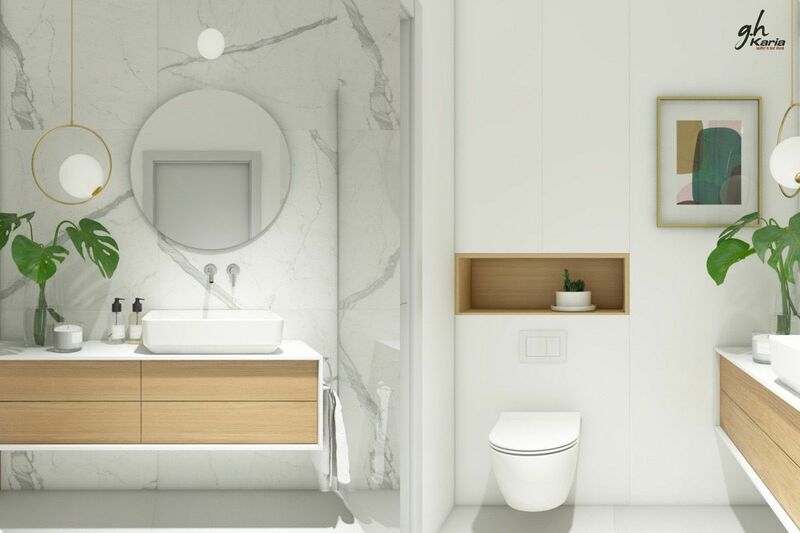 Contemporary bathroom, as well as a minimalist bathroom, is a perfect example of the interior perfection to optimize the space and maximize the appearance with a minimum of bathroom appliances. SIMPLISTIC IS THE HIGHEST FORM OF SOPHISTICATION – LEONARDO DA VINCI. sterile. Let objects have some breathing room, the better to be appreciated. Photographer Adusyanti Chatterjee says, “Photos as decor artwork is huge.” Photography and art have the ability to set the tone and mood of a space, and expresses a homeowner’s tastes, so why should bathrooms be overlooked? 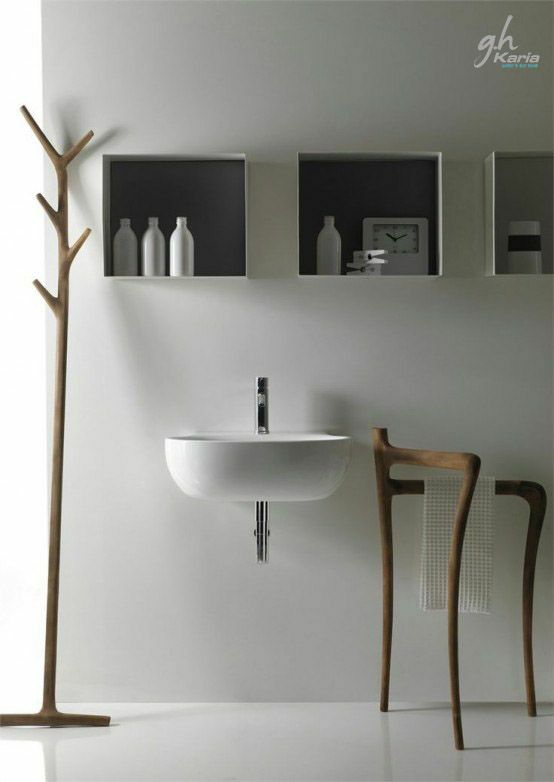 A sophisticated piece of art lends a bathroom an impactful focal point by keeping things simple. The statement walls trend is all about bringing in deeper, darker and richer colours into the bathroom walls to give it a classy feel. Floral patterns on walls, peonies on wallpaper or in painting work beautifully as an accent. Statement walls, a beautiful installation of bright tiles on a wall which makes a cheery start to the day will surely take away your morning blues. Indoor plants add a lot of life to a minimalist bathroom without adding unnecessary clutter. A little succulent planter adds a perfect pop of brightness. 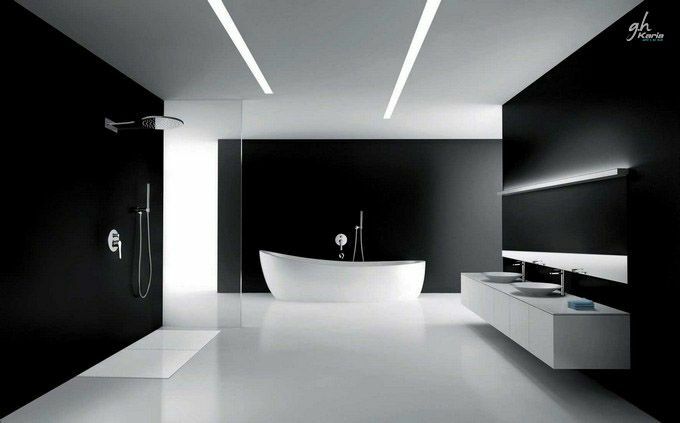 Making sure your minimalist luxury bathroom is lit properly is something that’s often overlooked in a home overhaul. 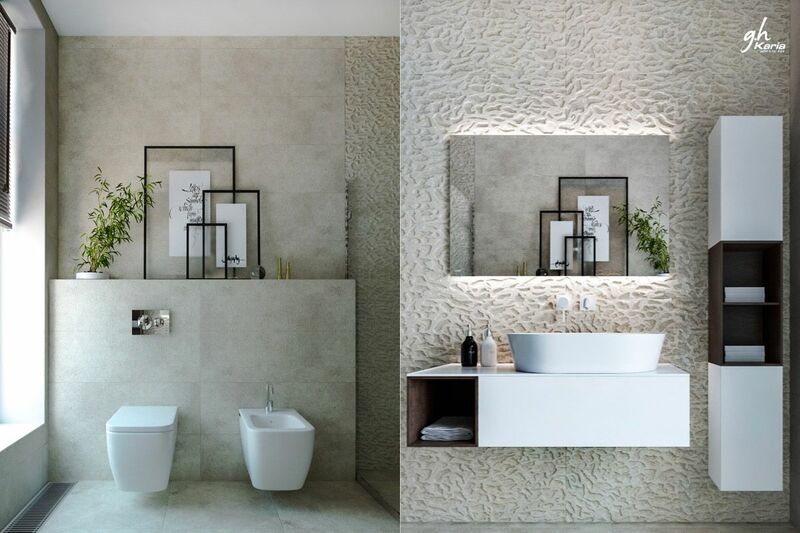 Brightness can add a touch of warm ambience to your bathroom. 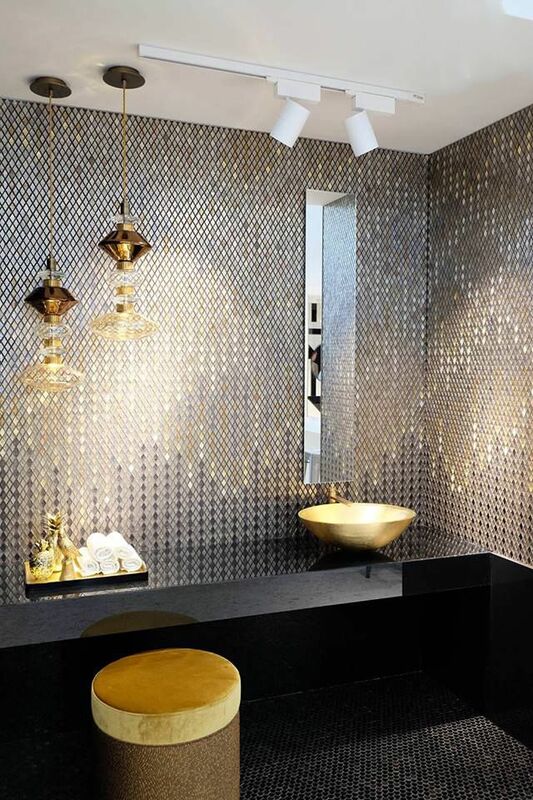 However, lighting can make all the difference, and swapping costly incandescent bulbs for LED spotlights embedded into the ceiling will help you to create an opulent aesthetic while making the bathroom more eco-friendly in the process. These little things can give your bathroom a grandiose yet stripped-back feel, especially once you’ve stepped out of the shower and the steamy air is illuminated by the bright beams of light. Minimalism is a super cool modern decor trend, and it’s extremely popular because it helps to see beauty in simplicity and clean lines. Less is more may sound like a cliché, but with the minimalist design trend, that’s the essence of this school of design. Now that you have a calming, clear space, you might feel the familiar urge to fill it up. Your walls are mostly bare, isn’t that just begging for more artwork? Rein it in. There’s no room for things that don’t serve a purpose. Simple isn’t boring. It may take a bit of adjustment to learn to appreciate it. Minimalism is an incredible thing.